No Artificial Flavors, Sweeteners, or Synthetic Colors. 4.7 Grams of Naturally Occurring BCAAs (Leucine, Isoleucine, and Valine). 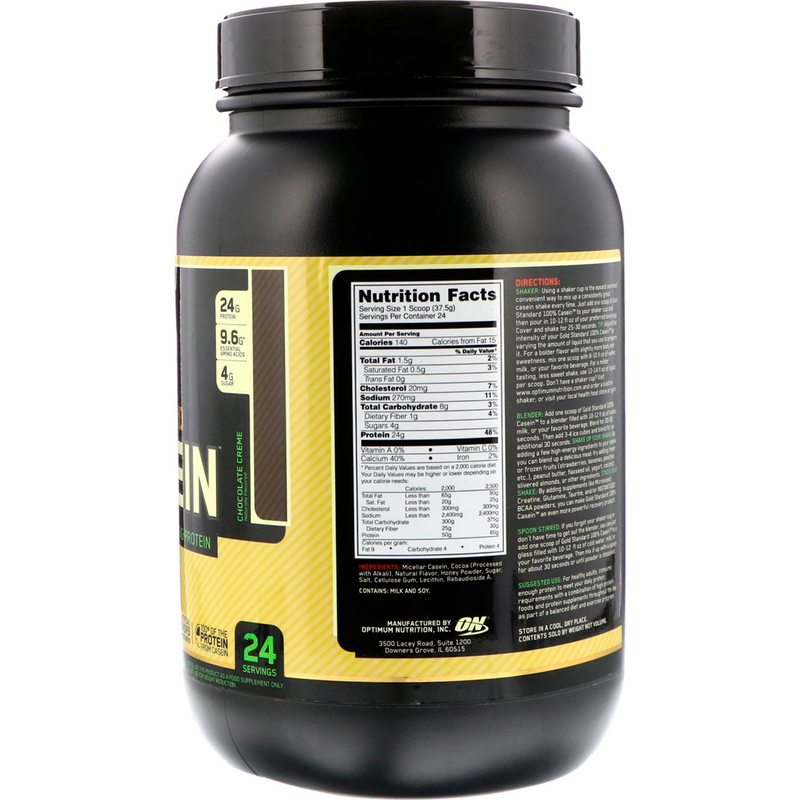 4.7 Grams of Naturally Occurring Glutamine and Glutamic Acid in Every Scoop. Shaker: Using a shaker cup is the easiest and most convenient way to mix up a consistently great casein shake every time. Just add one scoop of Gold Standard 100% Casein to your shaker cup and then pour in 10-12 oz of your preferred beverage. Cover and shake for 25-30 seconds. 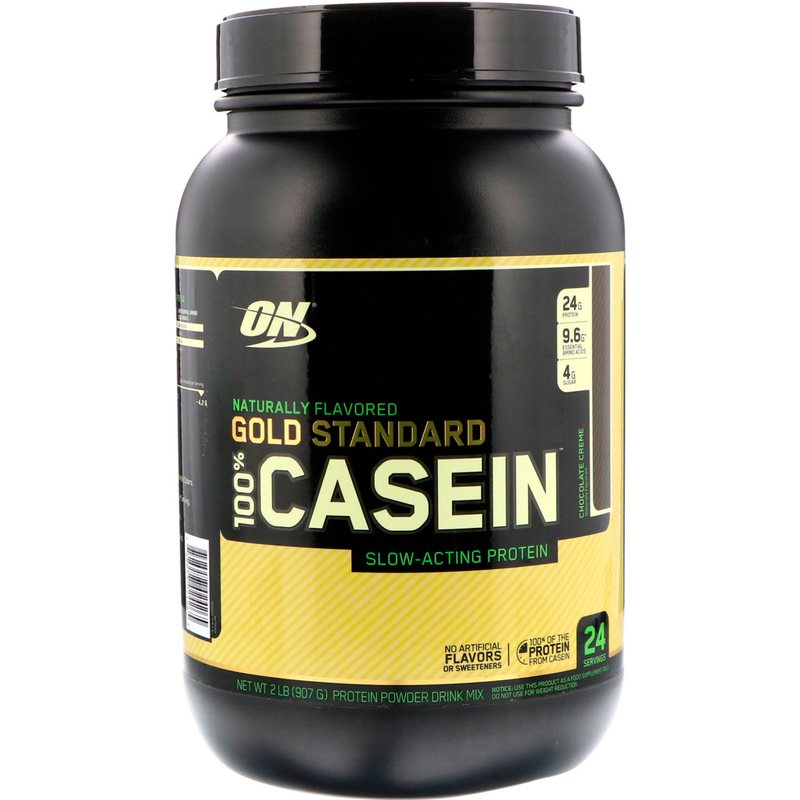 Tip: Adjust the intensity of your Gold Standard 100% Casein by varying the amount of liquid that you use to prepare it. For a bolder flavor with slightly more body and sweetness, mix one scoop with 8-10 oz of water, milk, or your favorite beverage. For a milder tasting, less sweet shake, use 12-14 oz of liquid per scoop. Micellar casein, cocoa (processed with alkali), natural flavor, honey powder, sugar, salt, cellulose gum, lecithin, rebaudioside A.